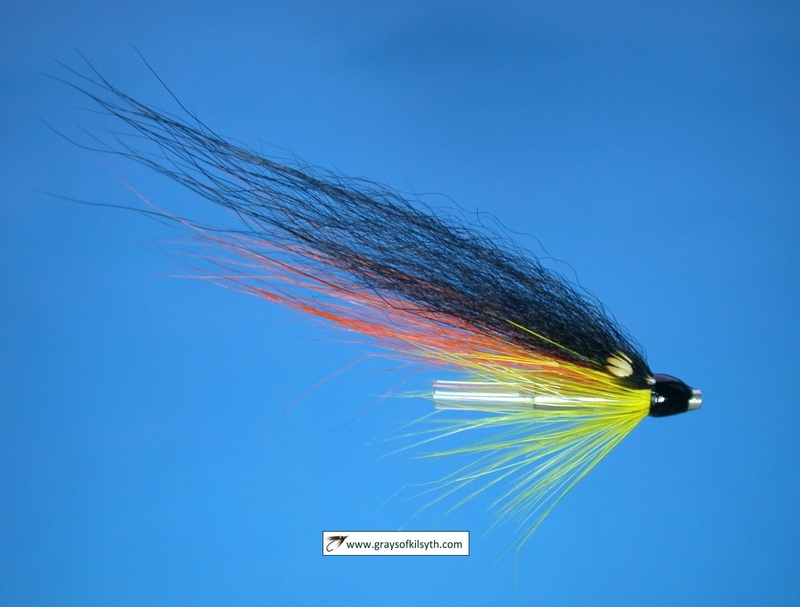 Like many salmon and sea trout fishermen, I derive most pleasure from fishing the fly. 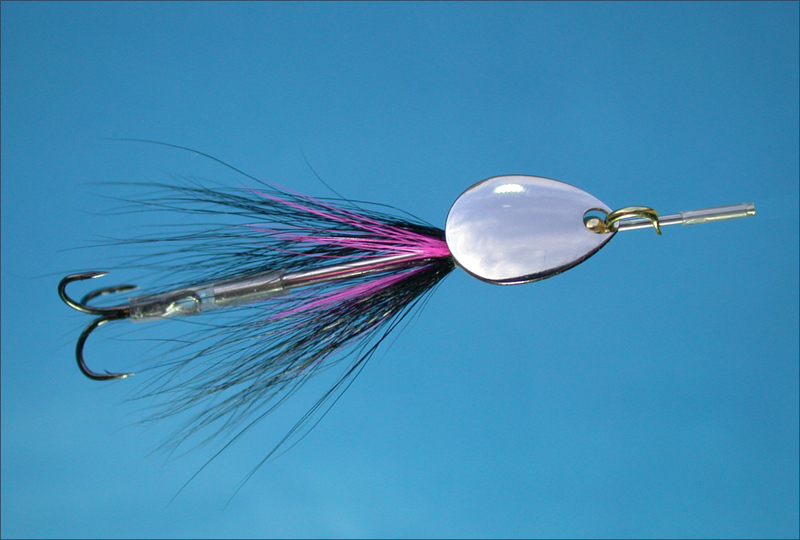 In low water or on a falling spate, the fly is not only the most pleasant method of fishing but often the most effective, too. 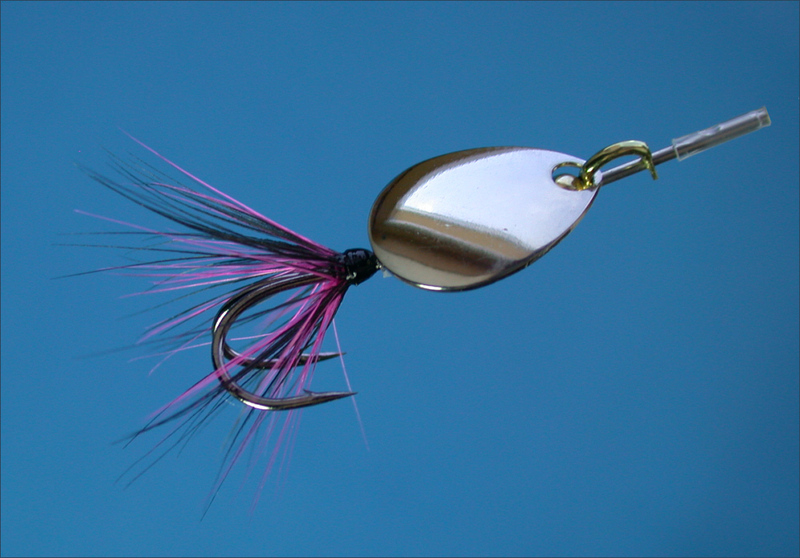 There are times, of course, especially when the river is running high, cold and coloured, when the skilled spin fisherman, fishing a lure on a spinning rod, may outfish even the most accomplished fly fisherman. Even at such times, though, many of us will choose to persevere with the fly rod, even if the chance of a fish may be missed. To many, this behaviour may seem somewhat perverse and not entirely rational. Perhaps so. 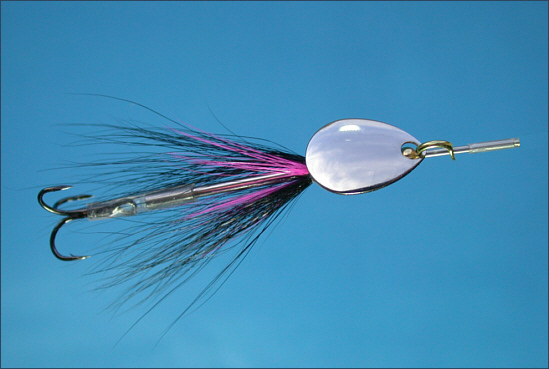 For my own part, it is not that I have any kind of moral or ethical objection to spinning, nor do I think that fly fishing is inherently superior in any way. 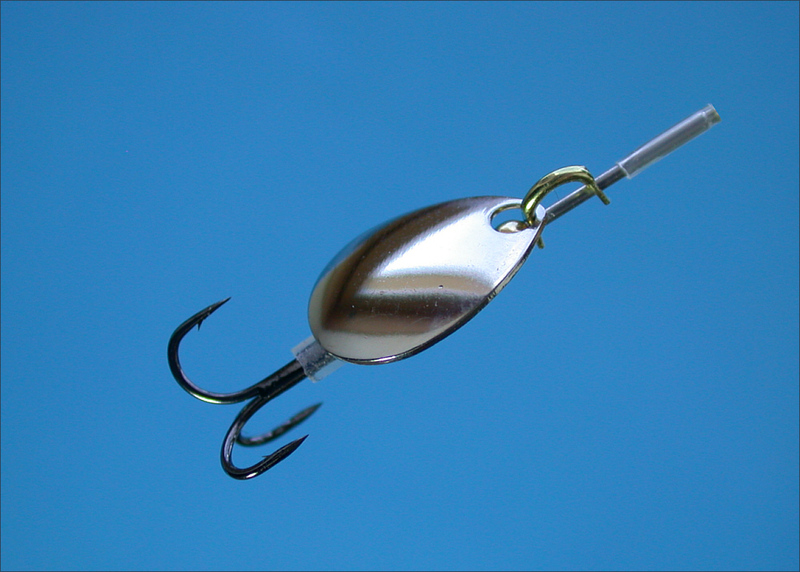 Indeed, if the object is to catch the maximum number of fish in the most efficient manner, then the spinner might often be the logical choice. I simply enjoy fly fishing more than spinning and will now rarely resort to the spinning rod. 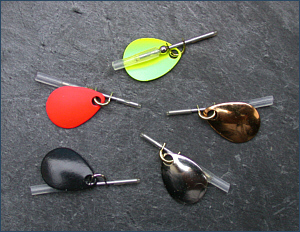 The whole business seems rather mechanical, particularly the repetitive winding in of fifty yards of line on every cast, on which point it is worth noting that, in the course of a day's fishing, the fly fisher's lure is in the water and fishingÂ� for a much longer time than the spinner's lure. Now I do not deny the considerable knowledge and skill required for consistent success in spinning. Moreover, as a fly fisherman, I have often wished that I could impart some of the mobility and life of the spinning lure to my flies, which at times appear rather lifeless in comparison to a Rapala, a Toby, a Flying C or a Mepps Spoon. 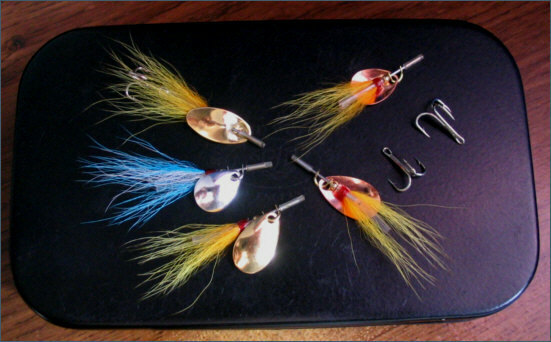 The skilled fly dresser can, of course, through his wise choice and use of materials, imbue in his creations a translucence, flash and mobility which salmon may at times find irresistible. But such mobility generally relies on the action of the river currents on the fly itself and on its component fibres of hair and hackle. How much more attractive might a fly be if it had some inherent easy movement, an apparent life of its own? Might it be possible to design a fly which would dive and wobble like a plug, flutter like a Toby or spin like a Mepps spoon? 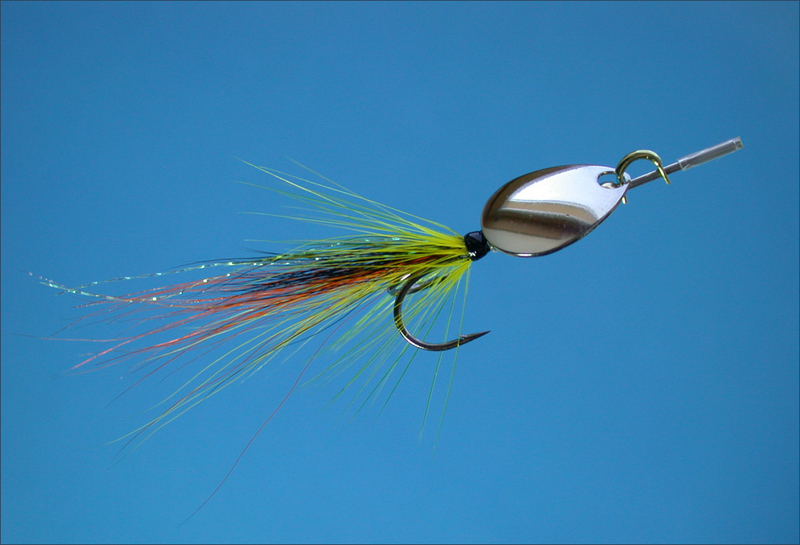 Over the years many innovative fly fishers, following this line of thought, have experimented with all kinds of devices in an effort to give life to their flies: things such as coneheads, diving vanes, propeller blades, wiggly rubber tails and so on. 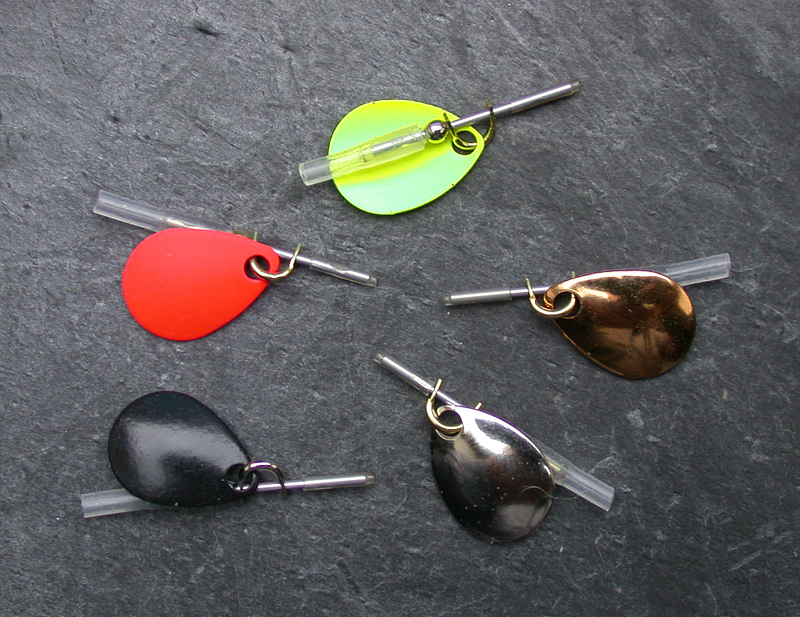 In recent years, following the undoubted success of the Mepps Spoon and Flying C, some have successfully incorporated spinning blades into fishing lures small enough and light enough to be cast on a fly rod, various fly spoons for example. 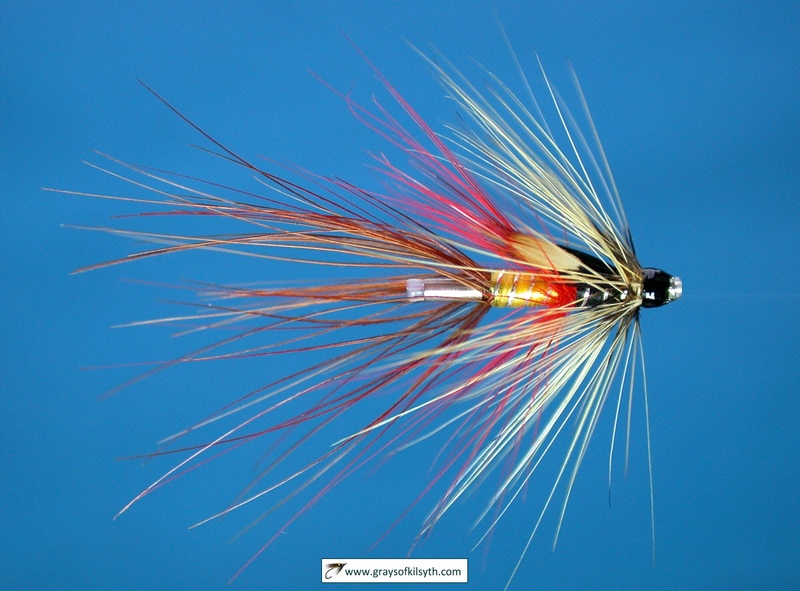 After experimenting with a variety of fly attachments and devices aimed at imparting additional movement to my flies, some of which showed considerable promise, it was the spinning blade which seemed to me to afford the greatest scope for success. 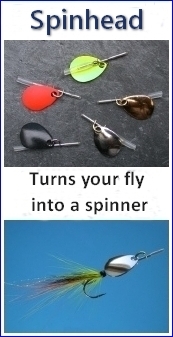 What I was aiming for was not so much a stand-alone fishing lure or fly spoon but an attachment which could be added to a conventional salmon fly, when conditions might otherwise dictate the use of a spinner; a device, a kind of mini-spinner, which might be small and light enough to attach to the head of a fly and which might be cast, without too much difficulty, on a salmon fly rod. What I ended up with was a very light and most versatile device which can be attached to the front of a conventional fly, tube fly, needle fly or Waddington lure; it can be fished in place of a fly, rather like a spinning tube fly, with a detachable single, double or treble hook, which may be dressed to create added attraction; it can be fished, with or without additional weight, on a light spinning rod, as a fishing lure for almost any predatory species e.g. 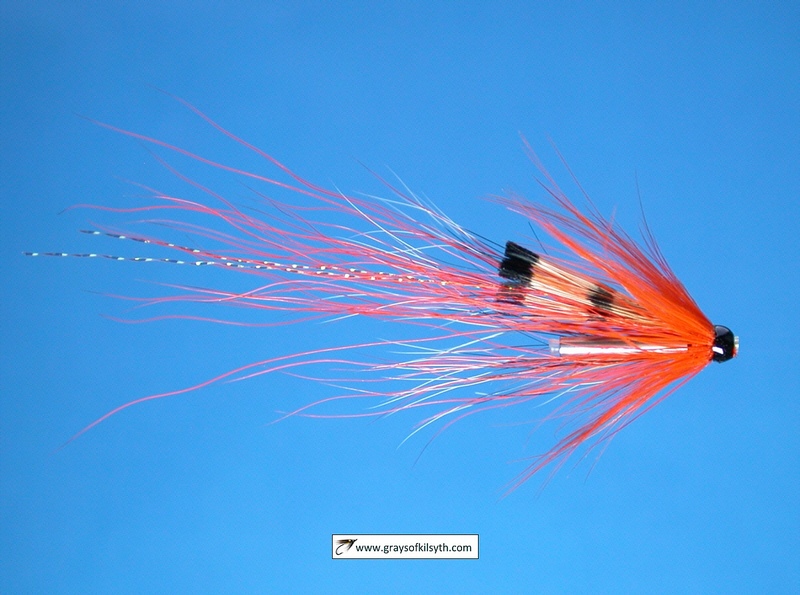 salmon, sea trout, brown trout, rainbow trout, steelhead, perch, pike, bass etc. 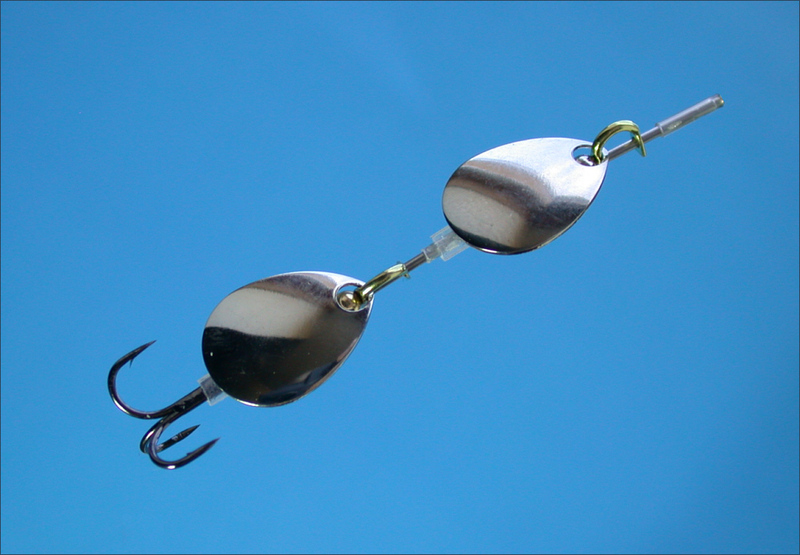 ; it can be fished singly or in tandem with others to create a longer, heavier lure; it can be produced in a variety of colours and sizes. I called it, rather unimaginatively, the SpinheadÂ�. One might say it is revolutionary! The spinhead weighs only one gram. This is lighter than the smallest Mepps spoon (size 00) which weighs 1/18th ounce or 1.5 grams. 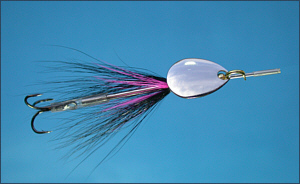 Another option is to dress the body of the spinhead itself, as shown below, to create a kind of spinning tube fly.